Totally ginius products. The products in this post were updated in October 2017. 1. A recipe glass that features seven different gin-based cocktail recipes and the exact amount you need to pour in. Get it from Amazon for $19.08. 2. A pair of socks for anyone who needs a little something to warm them up. That something is a gin martini. Get them from Twisted Twee Ltd. on Etsy for $21.73. 3. A flask that'll help you keep some liquor ~in your back pocket~ at all times. 4. A pair of highball glasses to ensure the perfect pour every time — whether it's your first drink or your third. Get the set of two from Uncommon Goods for $25. 5. A tee you need to buy in pairs: one for you, and one for the only person you'll share your drink with. Get it from Human for $23.99. 6. An aluminum water bottle that presents the perfect excuse when you accidentally go to the bar instead of lifting barbells. Get it from Ellie Ellie Ltd. on Etsy for $17.66. 7. A Tanqueray squeaky dog toy so your best friend can enjoy a bottle of the good stuff while you're sipping on some, too. Get it from Saks Off Fifth for $12.99 (originally $20). 8. 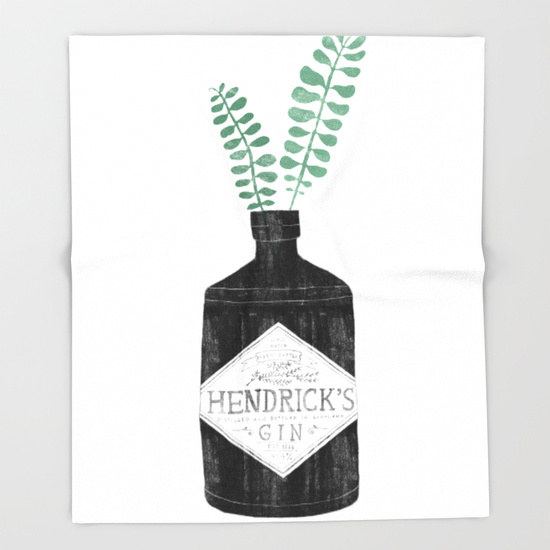 An authoritative print that'll make a strong ginpression when it comes to home decor. Get it from Once Upon A Try on Etsy for $11+. 9. 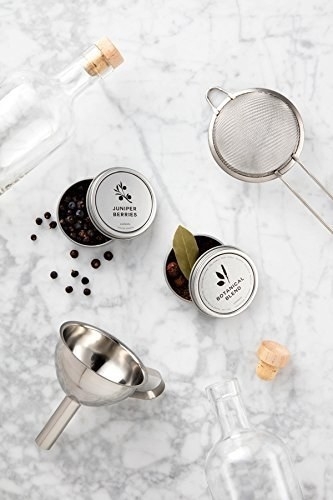 A collection of small-batch tonics to turn you into a connoisseur. Bonus: they'll look smashing on your bar cart, too. It's a concentrated tonic syrup, so just add soda water and (of course) gin! Get the trio of tonic syrups from Amazon for $24. 10. A gin pin that'll add a refreshing touch to your wardrobe...and will also make you want to say "gin pin" over and over again. It's really fun to say. Get it from Katy Pillinger Designs on Etsy for $10.87. 11. A carry-on cocktail kit guaranteed to make your next flight more ginteresting. 12. A soothing natural lip balm for when you're craving a G&T but it's not quite 5 o'clock. Get it from Hearth and Heritage on Etsy for $8.83. 13. And a candle to immediately set the mood for ~happy hour~ right when you walk in the door after work. Get it from Hearth and Heritage on Etsy for $27.09. 14. 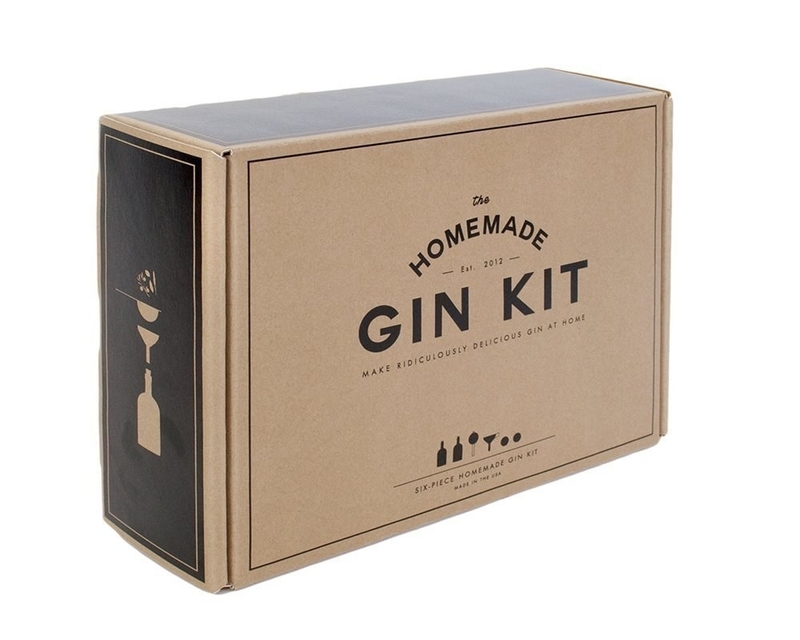 A homemade gin kit for anyone interested in the behind-the-scenes magic of how the good stuff is made. You can get refills of the juniper berries and botanical blend from Amazon for $15. 15. A Hollywood-themed cocktail recipe book that'll make you a STAR, I tell ya, a STAR when it comes to whipping up creative beverages. Get it from Amazon for $12.07. 16. A gin of the month subscription to expand your horizons when it comes to your favorite booze. Get it from Mouth for $54+ per month. Available in a 3-, 6-, 12-, or pay-as-you-go subscription. 17. A repurposed vintage tea set for anyone who wants to put a little ~spirit~ into their afternoon tea time. Get the set (which includes the cup and saucer and the creamer) from Yvonne Ellen on Etsy for $68. 18. A cultural history book that dives into the intertwined relationship between gin and the city of London from the 18th-century gin craze through Dickens, Churchill, modern gin bars, and more. Get it from Amazon for $11.30. 19. An infographic poster feauturing a wide-variety of gin cocktails (and their ingredients) so you can try something new every day. Get it from Everlong Print Co. on Etsy for $43.46+. Also available in a vertical layout. 20. A cross stitch pattern for those nights you want to pair a craft cocktail with an actual craft. Get the pattern from Plastic Little Covers on Etsy for $4.07. 21. 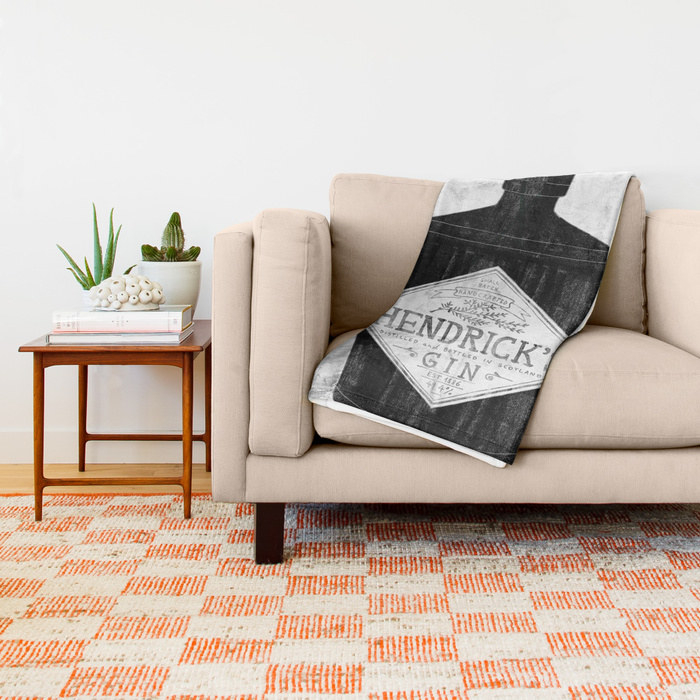 And a cozy illustrated throw blanket with a sherpa lining to take the phrase "alcohol blanket" to the next level. Get it from Typealive on Society6 for $49.99+. Available in three blanket sizes.